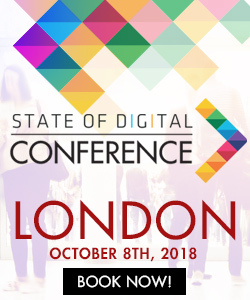 It seems we have gone conference mad here at State of Search, and with some great conferences about – potential attendees are spoilt for choice – as Bas’ poll would probably suggest. As a conference organiser (I organise the Sascon conference in Manchester UK), I have been on both sides of the fence, as both attendee, speaker and organiser. One of the things which came out of some recent events within the SEO community are just how many relationships are developed from sources such as Twitter, which then develop onto other social platforms such as Facebook/Skype and often then become ‘real life’ through meeting at conferences whether this be at the conference itself or indirectly via the various social forums which are often associated with these events such as Manchester SEO or London SEO. So how do you make sure you get ahead in the game of SEO, and make the most of these opportunities …. Many SEO’s often have their own blogs however one doesn’t necessarily have to have one to fit in with the crowd. Sources such as Twitter or Guest Posts can provide a scalable forum in which to develop a social profile online as well as take some early steps into the online brand space, without the commitment required to run a successful blog. A good place to start is to understand how much time you can dedicate to a particular channel, what resource you have and what your potential commitment is likely to be. This will provide obvious opportunities for you to start. One thing that makes SEO such a great place, is our opinions, and it is that debate which often drives our community/profession forward. That said a confrontational approach is one that should be approached with caution – a friendly intellectual approach will often get you further in the long run. The SEO community is full of opportunity, whether that be blogging opportunities, speaking opportunities or just plain networking. Some of these can involve significant scrutiny by your peers, however many are just as eager to learn from your experiences as you are from them – as long as what you are saying is based on fact and not heresay. Community driven events such as Manchester SEO or London SEO can be a great way to get yourself known in the community and hear of such opportunities, so when they come around, grab them by the horns!!!! A one way conversation in real life is not something many enjoy so why do that online. I would suggest this is possibly one of the biggest lessons one starting in the industry can learn to do, particularly given how much many in the industry are willing to help and provide advice and assistance. Sometimes less is more and often a couple of insightful comments rather than a barrage of nonsense. Often some of the best people are the ones you never hear from within the community – and sometimes some of the worst can be those who make the most. There is a saying actions speak louder than words, and one surefire wire to impress those in SEO is through a well implemented campaign, a fantastic tool, insightful debate or by citation. Peter has been around the industry for a while now, having previously headed up both search and SEO operations at Connectpoint (now Amaze), Mediavest, Brilliant Media and now Search & Social Director for Mediacom. Fantastic post and something that someone new to ANY industry/topic/niche can use. SEO is a competitive industry by nature, but also one of the most friendly and open too. Reach out and introduce yourself, interact with people on twitter and – something that took a lot of bottle for me personally – go up and talk to people at conferences. At the end of the day, no-one is a god – they are people just like you. As Kev said, SEO is unlike many other industries – that despite the highly competitive nature it continues to have a highly personal nature to it – and as you say its down to many of those who work in it. Cream will always rise to the top – but simply getting yourself out there can have a huge effect in termsof getting yourself out there – if you want to…..
Having been in this industry for a little while now, I was pretty much behind the scenes of sites, happily coding away and building the links and reading as much as I could (that never stops). It was when I needed to reach out for answers that joining forums began and over the years through the advent of blogging, more insightful and invaluable blog posts started appearing and through the evolution of the web into social and the advent of twitter (I skipped the FB thing altogether) life became easier still, easier in the sense that if you set up a good network it will make your work easier in the long run. It is true what you say though, everyone in our industry is very approachable within conferences/forums/social platforms and willing to share experiences and advice if you reach out. Great stuff. The only thing I would add is to be smart with brand building. Choose a username that is unique and stick with it across platforms, or use your real name. Use an avatar that represents what you really look like in real life so people can recognize you at conferences. Don’t be afraid to launch your presence on new platforms, but make sure you don’t neglect the big ones. 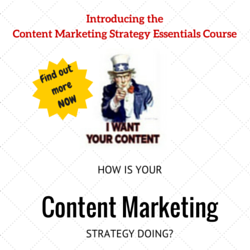 Be consistent with coments and engagement. Enjoyed reading the post. Will share it. Pete, Fantastic post and something that someone new to ANY industry/topic/niche can use. SEO is a competitive industry by nature, but also one of the most friendly and open too. Reach out and introduce yourself, interact with people on twitter and – something that took a lot of bottle for me personally – go up and talk to people at conferences. At the end of the day, no-one is a god – they are people just like you. I think you hit the nail on the head with your final comment. All the people you will meet at conferences are just that – people.